Nicholas Furlong – historian, novelist, journalist, lecturer – has become synonymous in his native Ireland and wherever English is spoken with a dramatic narrative sweep of history as first pursued by Herodotus, achieved in his many books by means of digression. Furlong brings tapestries of the past alive, embellishing his impeccable gift for story telling with a style that is unique. Consider the prose which can be lyrical with the lilt of a stream in free fall, an anarchic serif of sentences blazing meteor-like across the page, the literary equivalent of counterpoint. He is a prose writer of the highest command: in his book, Diarmait of Leinster, one of the foremost kings of Ireland, Furlong demonstrates his keen eye for detail, perhaps the natural offspring of a writer who is also a formidable traveller, and without apparent bias or occlusion of thought, he resurrects with indefatigable interest the man credited with inflicting 800 years of strife in Ireland. His writing has the affect on history: decisiveness married to enlightenment. That he is a distinguished journalist might explain partially why he is not in the least credulous: what makes him so readable, particularly as an historian though not exclusively (read the first chapter of his novel Young Farmer Seeks Wife in one sitting) is his commitment or veracity in the presentation of a tableau. Part of his armoury as a writer when distilling the essence of another era, as a paragraph is lifted from the monochromatic past and abruptly brought to life, is his penchant for the concealed brilliance of the unassuming, the fledgling miracle thawed from the tomb of history by the stroke of a pen. Writing, for Furlong, is life. In the beginning was indeed the word. 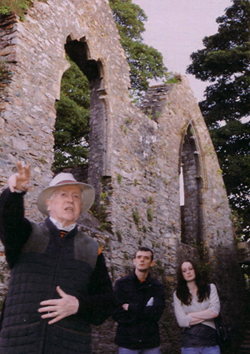 To his histories he brings the enthusiasm and the passion of an archaeologist among undisturbed relics of a misunderstood time, and as a writer he has the breadth of language that is required for a huge subject whose time span may be enormous, such as before, during and after the 1798 rebellion in Ireland (Fr John Murphy of Boolavogue, 1753 – 1798). He discovers new sources, compiles pages and pages of notes, and brings clarity where once there was obscurity. ‘I could hear that ring from Anvils as pikes were fashioned on hot summer nights,’ said one critic after reading the aforementioned tome. As a chronicler of times past and in particular the analysis of the dramatis personae of a period under the microscope, Furlong is in the Edward Gibbon tradition of producing the standard of work of reference: his modus operandi as a writer and researcher is best extrapolated from his own introduction to ‘Diarmait King of Leinster ’. ‘It is important that his life is examined, not with the wisdom of hindsight, but with an appreciation of the society with its political, religious and sexual currents, into which he was born.’ That single sentence captures the essence of the empathy Furlong brings to his material. He is at one with Robert Graves who believed that history must be distinguished from fable, propaganda and philosophical drama. 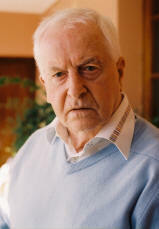 After reading Young Farmer Seeks Wife, Gerry Dukes commented that ‘the novel is a space and place where justice and poetic justice can be freely administered and where the slings and arrows of outrageous fortune can hit re-designated targets.’ A journalist and social commentator of long standing, he is noted for his humour and for the precision of his deliberations in his newspaper columns.